What can you do with your glass jars today? It is true that their primary function is to contain something – liquid or solid – but you can also maximize the use to decorative function. Below are some ideas. 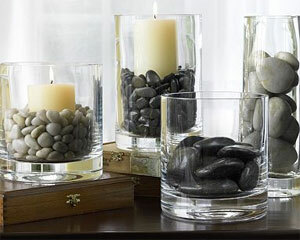 You can fill in your glass seethrough jars with stones and candles and lighten up your living room with them. They don't need to be expensive, they just need to be tasteful. And these are pretty tasteful for a modern room. Cotton buds, soap bars, etc. 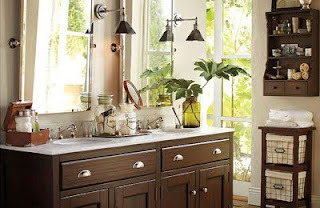 can be stored in nice flint jars and placed in your bathroom as an added value of beauty. Not only can you get organized by doing this, the bathroom also looks nicer with these jars. Clear bigger jars also make great vases. Just put enough water in them and stack some flowers or leaves to accentuate your room. Aren't we sometimes tired to see all the crayons and art tools of the kids lying around on the floor? It is time to make use of those empty jars. 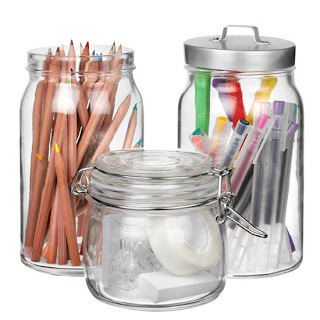 Gather the color pencils and other kids small stuffs and put them in a clear jar. No labeling needed as the kids can easily see through what is stored inside. Easy organization and easy for the eyes. 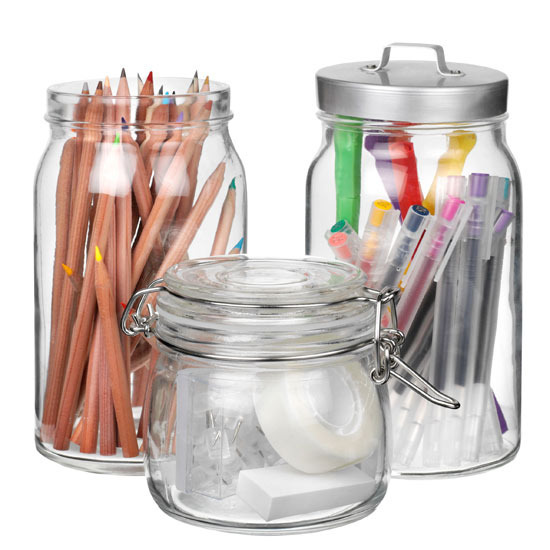 There are many ways jars can act as containers as well as decorations. Those examples above are some of it. 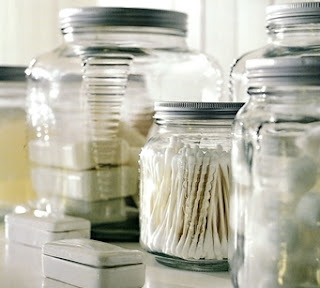 So what have you done to your jars today to beautify your house?